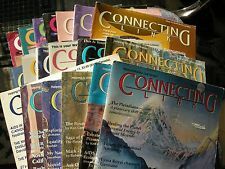 In this interview, held between Connecting Link magazine and Zecharia Sitchin in 1993, the author reveals his inspiration for writing The 12th Planet, which he states was the culmination of 30 year’s of research, beginning with his desire to understand the origin of the Biblical “Nephilim”. His desire to understand it’s origins led him to undertake the study of Sumerian cuneiform tablets, with their many tales of divine beings, and the origin of mankind – from which he theorized an entire history of ancient alien contact. This entry was posted in Interviews and tagged 12th Planet, Anunnaki, Connecting Link Magazine, Epic of Creation, Genesis, Interviews, Nibiru on November 14, 2013 by ZSI.